I am furious !!!! Exactly 7 MONTHS after purchase, I somehow now get the ERROR CODE 203 !!!!! I tried contacting ryze support, all they say is its the battery. Well I've been using same 2 batteries since I bought it. Then they say " it's overheating" left it cool down. I did......same error. I tried uninstalling app, reinstalled older version.....same error. 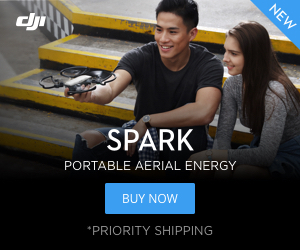 One would think DJI would look into this since it will eventually harm there name. I see a lot of folks have this same problem with no answers anywhere. Good news. After sending in my tello for repairs, it turns out was something to do with the "board". They replaced the "board" and sent back. No charge. Thought at first id have to send back as wouldnt charge. Well, i went on the Ryze Robotics chat tool on there web page and was helped by a nice person. Turns out the firmware needed update. So now all is well ! I did have a skin on the top cover which they removed ( or just replaced). It took some time to resolve my issue, but im very satisfied with Ryze customer support. If anyone has problem, reach pit to them, they will help.